Soaring temps and a third rate track in a nation of second raters have our blood boiling. Canada’s lone race on IndyCar’s schedule is one too many, making us especially ill-tempered and downright salty this week. Our special prediction of the weekend is that come Sunday evening following another disastrous so called race north of the border you’ll find yourself in an irritable mood, too. Then – to top it all off – there’s those entitled, over officious border agents to negotiate on the way home. Pole prediction perhaps means less at Exhibition Place than most road courses, as the winner’s come from P1 a third of the time lately – the exact same fraction as those winning from eleventh starting position. The other two winners over the last six contests started fourth and fifth, so in wild and wacky Canuck land clearly anything can happen – just look at their juvenile Premier. That’s why we’re going with Graham Rahal snagging his second pole of the season – and only the fourth of his career. He’ll edge Penske’s “Mad” Will Power, angering almost no one. First out of the race – and this is where our Canuck hosts begin to get hot under the collar – will be hometown boy James Hinchcliffe. 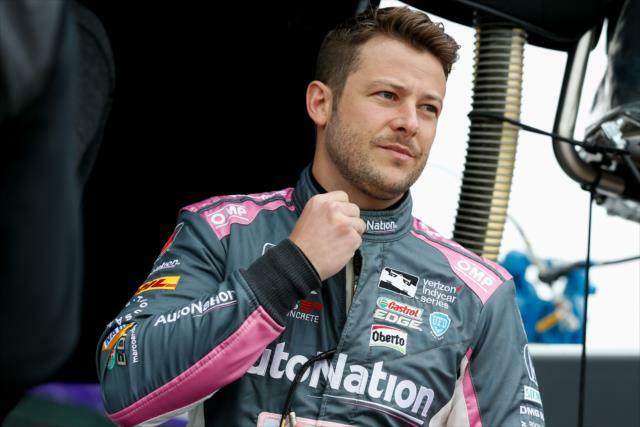 Hinch was recently dubbed a “megastar” of IndyCar by the Canadian press, whatever that is. He’s already suffered three DNFs this season and now all of a sudden has a new teammate. Due to all this, unfortunately his temperament won’t be improving come Sunday. Neither will that of his throngs of fans, so be extra vigilant when leaving. Whether it’s some fresh ideas, new rules or simply enforcing existing ones, IndyCar road racing really needs a revival. Since an all oval schedule is unlikely to return anytime soon, here are a few suggestions to liven up the road shows. As fans of IndyCar it’s no secret we at IRR prefer oval track racing to squiggly courses because speed, passing and excitement are kinda our thing. Having already offered our “Ways To Save Oval Racing,” it’s now time to address the ten times as many curves as straightaways tracks. The first thing the series could do to improve squirmies is simply enforce the rules. When called at all, penalties are often wildly inconsistent – just see Emma Dixon‘s Twitter feed – with certain teams and drivers (think Penske and Ganassi) seemingly exempt. Last year’s Long Beach non-call on Simon Pagenaud is a perfect example of this. It’s grossly unfair and invites NASCAR type lawlessness. 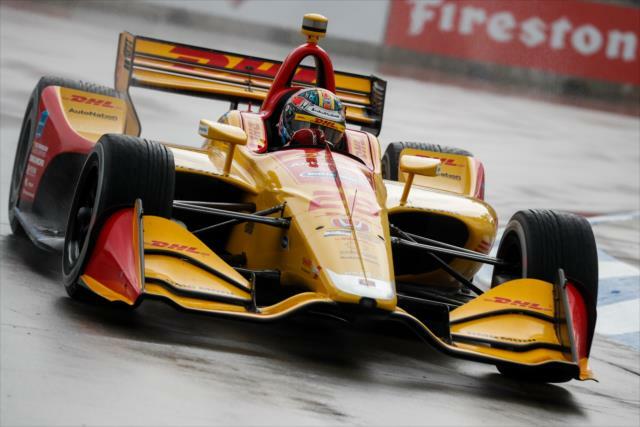 The Firestone Grand Prix at times smelled like a tire fire. Frenchmen swept the top two spots at St. Pete Sunday, as Sebastien Bourdais bested defending champ Simon Pagenaud in a result no one foresaw, much less foresmelled. Charging all the way from last place, it was Bourdais’ thirty sixth major open wheel victory of his storied career, and it smelled of feet. By all accounts, SeBass was able to avoid embarrassing himself by not dropping the trophy again from atop the podium. It was his first win since Detroit 1 last June and added to other recent renaissance wins including Milwaukee. While the racing on the newly repaved circuit had its moments, particularly during the start and restart, on the whole it still stunk like week old French cheese. St. Pete’s a ramshackle temporary street course, on top of which Mark “Stink” Schlereth acted as Grand Marshall, so what’d you expect?